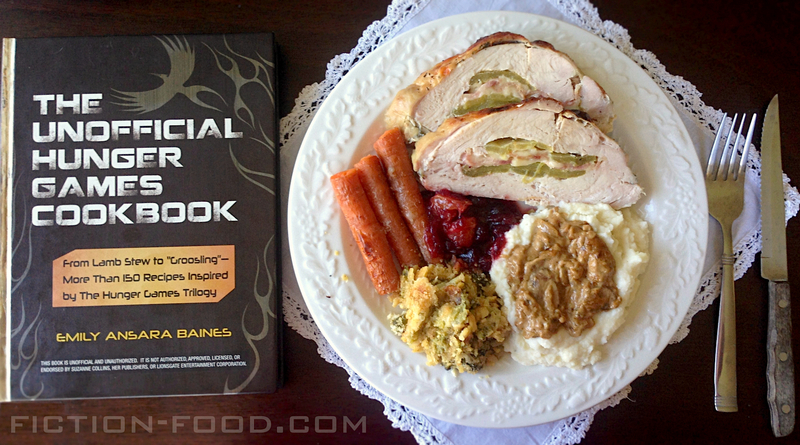 With the premiere of "The Hunger Games: Mockingjay Part 1" in US theaters this Friday (Nov. 21) and Thanksgiving around the corner, I decided to try a turkey recipe from Emily Ansara Baines' delicious-recipe-filled and thorough The Unofficial Hunger Games Cookbook, in which there is a chapter titled "Don't Call Me Chicken–Poultry Dishes for the Brave" (chapter 6) containing not only recipes for chicken and turkey, but also goose, duck, dove, partridge, and pheasant. And boy was it delicious! I'm going to make it again for Thanksgiving, and probably many more times just because. 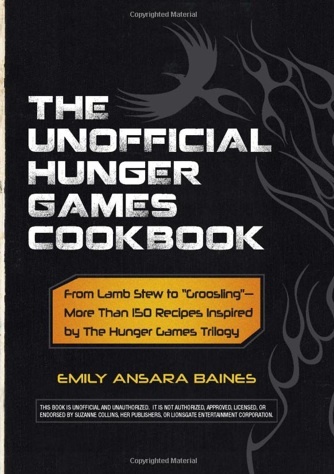 The Unofficial Hunger Games Cookbook was published by Adams Media in 2012 and contains "more than 150 recipes inspired by the Hunger Games trilogy". 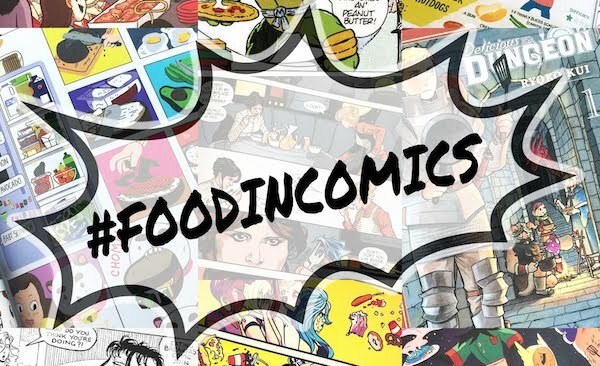 There are nine chapters filled with foods either directly from Suzanne Collins' Hunger Games books or inspired by characters and/or scenes in the series. There's also an appendix after chapter nine titled "Katniss's Family Book of Herbs" detailing some of the prominent herbs and plants Katniss did or may have encountered! After a very informative introduction discussing the role of food in the series and preparing the reader to discover foods for both the overindulgent capitol inhabitants and the meagerly-fed people of the districts, the book begins with breakfast, continues with bread, then soups, stews, and salads, and goes on to appetizers and sides, through various types of meats (divided into fours chapters), and concludes with desserts. One of the meat chapters, titled "Wild Game for Wild Girls", is filled with recipes that only hunters, or friends of hunters, could make, adding to the authentic and well-researched nature (nature, exactly) of this book. If you're not a hunter, rather than brushing past or decrying this chapter, simply get creative in making substitutions–that is one of the themes of the series after all; making due with what you have. Each chapter is given a short, meaningful introduction that connects the recipes therein to various themes in the books, and at times, relay little bits of life-wisdom. Each recipe also has a small introduction, pinpointing its location in the series or where its inspiration is found, wether it be character, landscape, situation, or mentality/personality. 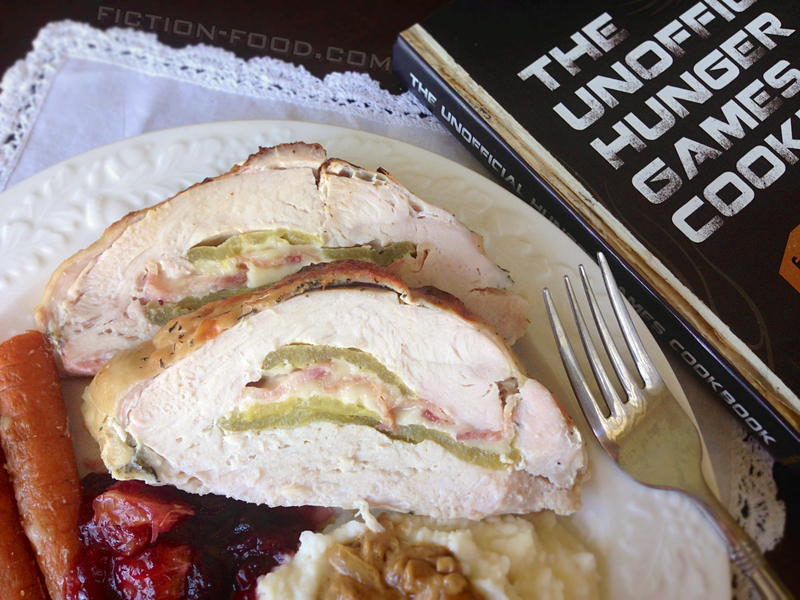 I've noticed though, and this isn't necessarily a bad thing and could be viewed as simply giving options, that many of the recipes revolve around a single ingredient mentioned in the books, for example, the recipe I chose is connected with Catching Fire chapter 7 because a wild turkey, hanging from Gale's belt, is described near the beginning of that chapter and appears again, nailed above Gale's head, while he's being whipped in the District 12 square. It becomes a very important wild, dead turkey, and is actually connected with a couple of recipes in the cookbook, but only in the fact that it's a type of meat named in the series. 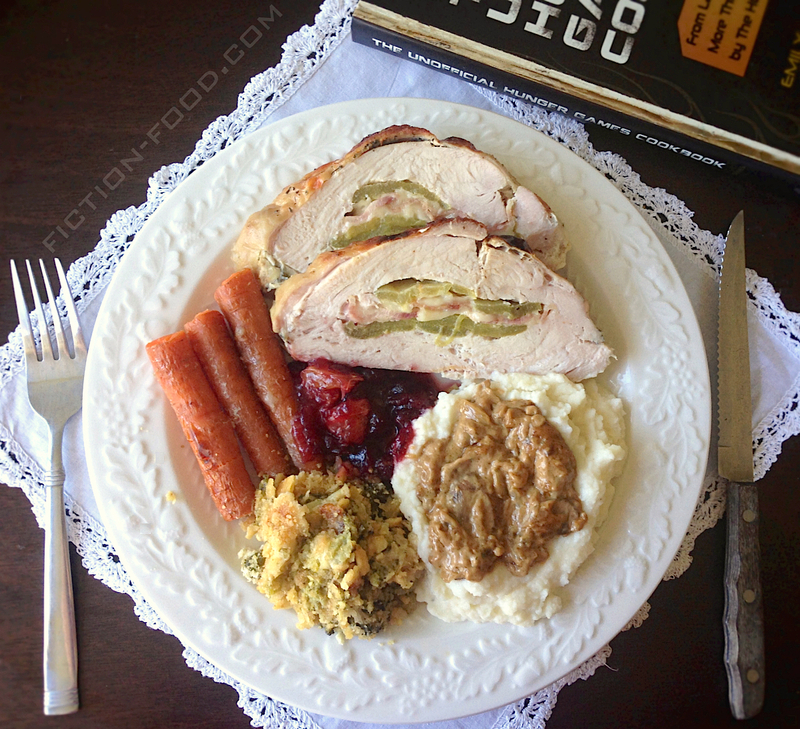 The recipes imagine different ways the turkey could have been prepared, though knowing what the chapter is about (Katniss and Gale) it feels inappropriate to mention Katniss and Peeta's friendship in the recipe introduction (though Peeta is in the chapter near the end). So, many recipes are present in the cookbook because a certain food or ingredient is named in the books, but the introduction of the recipes don't necessarily match up with the scene the food/ingredient is found (sorry if that doesn't make sense). Every recipe also has a "Tips from your Sponsor" section off to the side detailing substitution suggestions and/or helpful knowledge for steps in the recipe. All in all, this book is incredibly detailed and shows the amount of research and work Emily put into it. A potential drawback is that there are no pictures of the finished foods! But that's coming from a very visual person. The way the book is designed, it's more of a read-through and almost workbook; the contents fit very well with the book's style and layout. This would make a great gift for those who love to cook and explore new recipes, but also any fan of the Hunger Games because of its discussion of the important themes in the series. Note: In the sponsor tips section for this recipe, Emily gives alternate fillings for the turkey: brie cheese, sun-dried tomatoes, and fresh basil, and white cheddar, apricot preserves, and fresh rosemary. Apricot and brie is a great combination too! Also to note, as with all of my cookbook reviews, the recipe below is in my own words so as to include my experiences and input. 1. Heat your oven to 350ºF. Slice a pocket into the turkey breast(s). Cut open the green peppers & place a piece of bacon & 2 slices of cheese inside (like a chili, bacon, cheese taco). Place two filled chilis into each breast (or if you have one big breast, put all four chilis in), cutting the pocket(s) in the turkey wider if needed, but making sure not to cut through. Close the turkey breast(s) & secure with toothpicks or baking string. 3. Remove the foil & drizzle more olive oil over the turkey breast(s). Broil the turkey for about 5 minutes or so so the top(s) can brown (I removed the bacons strips from top of the turkey before I broiled it). Remove from the oven & let sit for 5 minutes. When ready to serve, cut the turkey into diagonal slices. The best way to check for doneness is to use a meat thermometer. The minimum safe internal temperature is 165 degrees. If you pierce the breast with a fork, the juices should run clear. 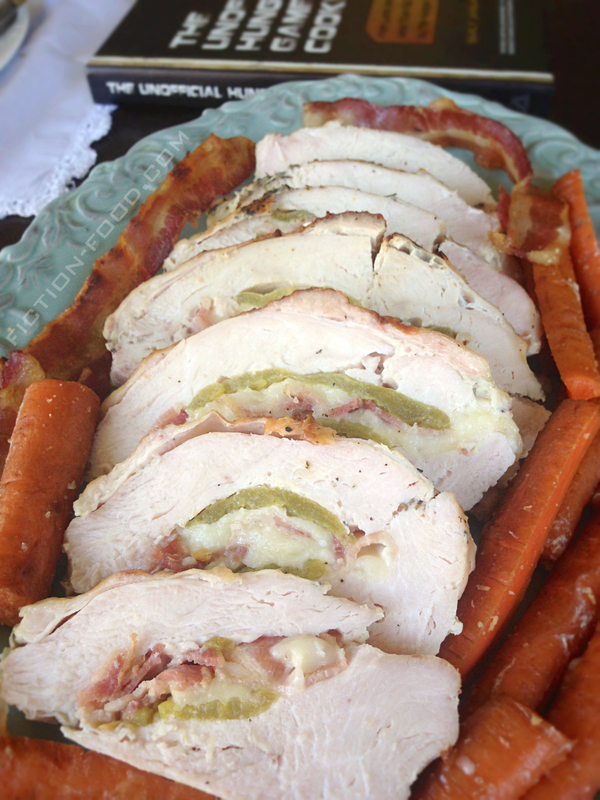 If you use a convection oven it will reduce the turkey breast cooking times above by approximately 25 percent. To be safe use a meat thermometer to test for doneness.